Safelincs are delighted to announce the introduction of an innovative new product – the Emergency LED Floodlight with additional PIR Motion-Activation. This evolution of a standard emergency floodlight has numerous benefits and is proving popular with owners and operators of public and commercial buildings. The one feature universally required when specifying an emergency floodlight to cover a final exit is that it illuminates the area when most needed, i.e. in the event of an evacuation. By combining a PIR (passive infrared) sensor with a high quality external grade emergency floodlight, this product ensures that a final exit or entrance is never left dark when people are exiting the building. The floodlight will come on the moment people are leaving the building or approaching it. It will, of course, also come on in the event of a power failure and will the illuminate the area for a full three hours, powered by its internal backup battery. But why not have a light on all of the time you may ask? This is not always advisable, as neighbouring properties could be adversely impacted by light pollution, and of course the running costs of a maintained (always on) emergency floodlight are considerable. This makes the motion sensor activated emergency LED floodlight not only the most dependable emergency floodlight on the market, but also one of the most cost effective to run. The nature of the product means that the light is only ever on when required, and this feature, combined with the use of energy efficient LED light fittings makes this product environmentally friendly and financially sensible. If you are installing or replacing an emergency floodlight, then look no further. This is the product for you. For more details about this money-saving weatherproof external floodlight with PIR, visit our brand new product listing or give us a call on 0800 612 6537. Being the fire safety provider of choice both for the Church of England and the Catholic Church, one of Safelincs’ key roles is to supply fire safety goods and services to the thousands of faith schools, amongst others, in the UK. Providing guidance and support is just part of this. We offer schools many opportunities to save costs and to improve fire safety provision at the same time. To benefit from this support offer, contact support@safelincs.co.uk or ring 0800 612 6537. We are happy to help. 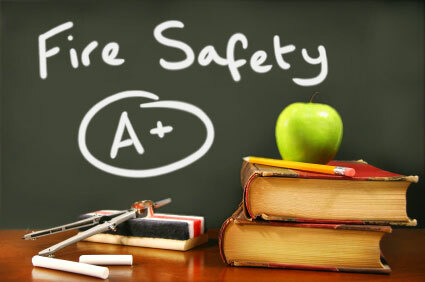 We also offer fire risk assessments for schools at very good rates. In addition we provide free fire risk assessment forms as well as free online fire safety logbooks with automatic reminders, suitable for organisations with multiple sites and numerous responsible staff members. If you would like to talk to us about the fire safety needs within your school call 0800 612 6537. Despite there being around 270 children per year who die after suffering a sudden cardiac arrest at school there are only 80 out of the approximate 30,000 schools in the country that have a defibrillator on site. 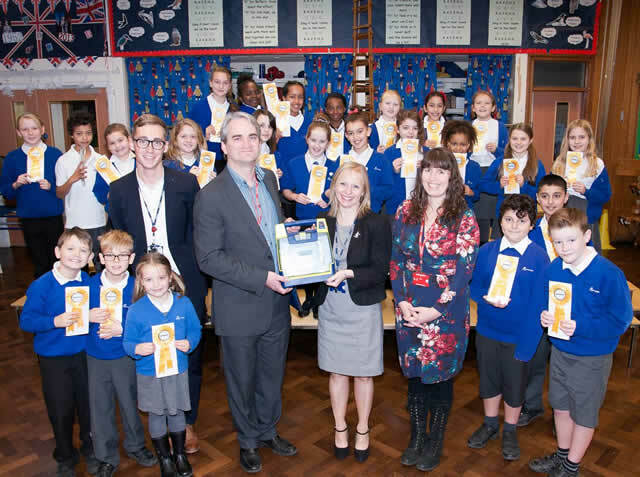 As part of a drive to increase awareness and to inform schools of the pending legislative changes that are coming into force, we ran a competition for schools to win a defibrillator. The competition entries submitted a short video demonstrating the benefits of having a defibrillator at their school. The entries were judged on message, technique and originality. There was an unbelievable number of entries into the competition, making judging very hard. Winners were Ravensdale Junior School, Mickelover, Derby and runners up were Penwortham Priory Academy, Preston. 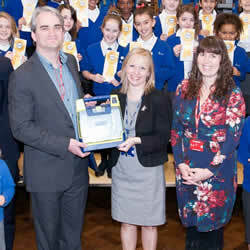 Here is a photo of the presentation of the defibrillator to Ravensdale Junior School. 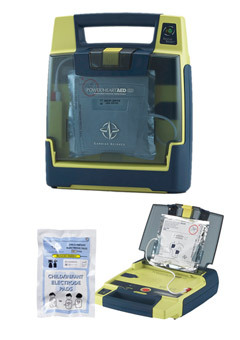 The video and more information about defibrillators in schools can be viewed on our defibrillator competition information page. No more extinguishers in schools? We recently heard reports that a school had removed all of their portable fire extinguishers following a fire risk assessment. After our initial surprise at this story we had a closer look at fire extinguishers in schools. Certainly, schools are environments where the vast majority of people on site have no knowledge about fire extinguishers. There is also a risk of extinguisher misuse and with it a risk of injury. Added to this comes the difficulty that the surprisingly still popular CO2 fire extinguishers, which can cause significant injuries, have no pressure display to show that they have been discharged. With vandalism a concern, this is of course unacceptable. 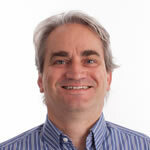 Is it therefore right to throw out all extinguishers? We believe that schools should carefully re-assess what really is required, how they can minimise the number of extinguishers, reduce vandalism and costs. At the same time we feel that there are very valid reasons to still have portable extinguishers in schools. The number required could be reduced, though and safer ones than currently deployed should be installed. When assessing the need for extinguishers it is important to focus on basics. Portable extinguishers are not meant to fight fires once they have got established. They are designed to tackle small, smouldering fires, as soon as they have been detected. At this stage a fire can easily be tackled with an extinguisher by almost any member of staff and successfully extinguished; staff would of course ideally need a little training beforehand. A FIA (Fire Industry Association) study from 2010 clearly shows that fire extinguishers work. The study showed that the use of portable fire extinguishers was successful in about 90% of cases. The only type of extinguisher with a relatively weak track record at the time were CO2 extinguishers. We would therefore recommend that CO2 extinguishers are restricted to specialist applications, such as server rooms. There is also a need for extinguishers that can be used on the widest possible range of fires and are completely safe if accidentally used by a child or aimed at a person. Luckily that type of extinguisher now exists. Dry water mist extinguishers can be used for all standard types of fires including even deep fat fryers and electrical applications and will not injure people if aimed at them. 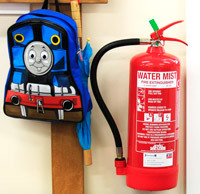 We created an article that explores the best extinguishers to be used in schools. You can also ask our engineers and risk assessors to visit your school to recommend the best and most cost efficient fire fighting cover. We are there to offer you the best solutions. Putting a fire out whilst it is still small could save the school thousands of pounds in damages as well as saving lives. As part of the annual health and safety audit that schools have to complete the subject of fire safety will arise. Questions about the maintenance of fire extinguishers and smoke alarms as well as other equipment will need to be assessed. Are the annual checks up to date and are regular visual checks carried out throughout the year? Along side this the procedure for fire drills will also be reviewed. Most schools are very good at carrying out fire drills on a regular basis but do the drills go far enough to be useful to highlight any difficulties that may occur in the event of a real fire? The usual procedure for a fire drill is to set off the alarm system and evacuate the children out of the building as quickly as possible. This is good practice and familiarises both pupils and staff with the routine but where is the fire situated from which they are evacuating? These common fire drills do not take into account that one or more exits may be blocked in the event of a real fire and that an alternative route may need to be used. Teachers who have always used the same exit door in a drill may panic if this exit is blocked by a real fire and may not be able to lead the pupils to safety. It is essential that different exits are blocked in a drill to ensure that it is second nature for the teachers and pupils to use an alternative route. A fire drill where an exit is blocked may highlight that in actual fact there is only one escape route and that a window may then need to be utilised as exit point. If the window is double glazed and does not open fully it may be necessary to have an emergency escape hammer fitted near the window. If the room is not on the ground floor there may be a need to install an external fire escape ladder. Increase the scope of your next fire drill and simulate a fire blocking an exit point. It can be as simple as someone standing at the exit door waving their arms saying “this exit is blocked by fire”.